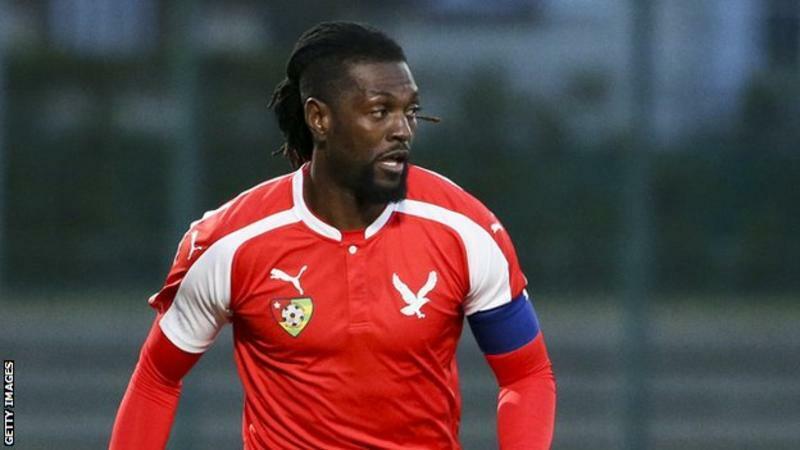 Striker Emmanuel Adebayor has admitted he is now considering his international future after Togo failed to qualify for the 2019 Africa Cup of Nations. The 35-year-old scored on Sunday as Togo lost 2-1 in Benin to finish bottom of Group D.
After the match he told reporters he will return to his Turkish club Istanbul Basaksehir to think about his future. "I'll think about what the near future has in store for me," he said. He added he has kept his shirt from Sunday's match in case it proves to be his last match to fulfil a promise he made his daughter. "The most important thing it is that l have kept the jersey and socks because l promised my eight-year-old daughter that the last shirt l wear for t... moreStriker Emmanuel Adebayor has admitted he is now considering his international future after Togo failed to qualify for the 2019 Africa Cup of Nations. He reflected on a club career that has seen him play for clubs of the stature of Monaco, Arsenal, Manchester City, Tottenham Hotspur and Real Madrid. "But if I am still playing for a Turkish club where I am among the better paid players, it is because I have a quality and I also contribute to play for that club. "Now l think that l have to go back home and remember all the nice memories ito fly quietly with all this to Istanbul." Adebayor has announced his retirement several times in the past most notably in 2010 in the wake of an attack on the Togo team bus just before the Africa Cup of Nations in Angola. Nigeria beat Egypt 1-0 in a friendly thanks to a goal scored inside 10 seconds in Asaba on Tuesday. 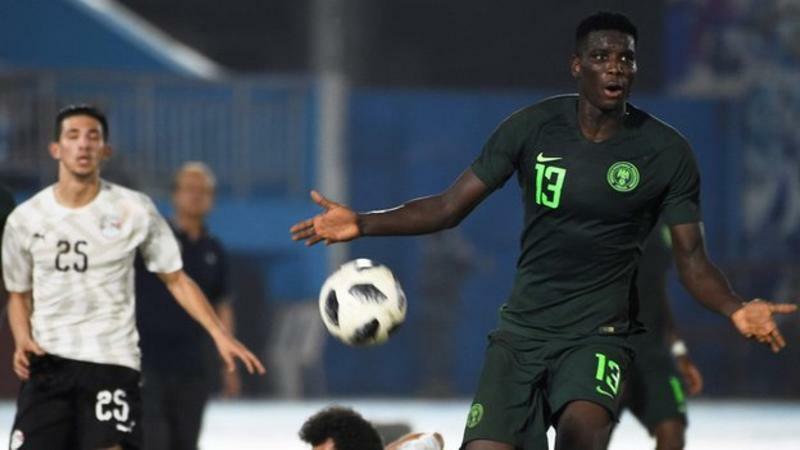 Paul Onuachu's strike is Nigeria's fastest ever international goal. According to Uefa the fastest ever competitive international goal was scored by Belgium's Christian Benteke just after 8.1 seconds against Gibraltar in October 2016. Elsewhere, Senegal needed Sadio Mane to come off the bench and help them to a win over Mali. Also on Tuesday Algeria beat Tunisia, Ivory Coast beat Liberia, Ghana won at home to Mauritania and Morocco were beaten by Argentina. With the Africa Cup of Nations in Egypt fast approaching, it was an important round of matches for coaches and players. Nigeria's Denmark-based Onuachu, who was making his full international debut, seized his opportunity to make an impact. The ball was chipped forward for him to run on to, he took it round the defender with one touch and then scored with his second to stun Egypt and delight the still settling crowd... moreNigeria beat Egypt 1-0 in a friendly thanks to a goal scored inside 10 seconds in Asaba on Tuesday. The ball was chipped forward for him to run on to, he took it round the defender with one touch and then scored with his second to stun Egypt and delight the still settling crowd. 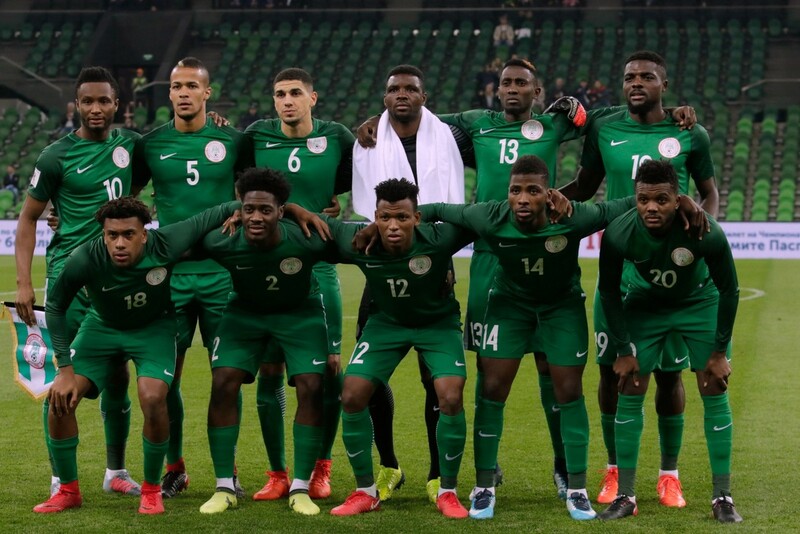 It was the only goal in a game which pitted two of the major contenders for the Nations Cup crown together, and Egypt - with the rested Mohamed Salah absent - tested the Super Eagles as well. Herve Renard's Morocco were beaten, going down 1-0 to Argentina, who were without Lionel Messi, thanks to an 83rd minute goal from Angel Correa. Argentina coach Lionel Scaloni admitted his side had been tested by the Atlas Lions. "It was a tough game, Morocco has good players and were supported well by their fans," he said. "We're happy to win the game despite the difficult conditions, especially the strong wind (in Tangier) and had a negative impact on the players and the quality of the overall game. "We were looking for victory to satisfy our fans and make them confident in our team following the last defeat (3-1 to Venezuela)." Morocco coach Herve Renard was not impressed by the standard of the football. "I was bored... this is the first time in my career that I went into a locker room at half-time and I had nothing to say to my players - we did everything except playing football," he said. "It was not a football game - but a fight. The plans (choice of opponents) for the Nations Cup will depend on the draw." Salah may have been absent but his Liverpool teammate Sadio Mane came off the bench for Senegal to rescue a win for them against Mali. They were a goal down with three minutes remaining when Mane skipped past several defenders into the box and scored with a low shot to level it at 1-1. And well into stoppage time Mane had yet more influence on the game as he set up Senegal's winner from Moussa Kounate. other matches also featured many of the serious contenders for Egypt 2019 later this year. Ghana's Black Stars also took an early lead - inside two minutes - against Nations Cup debutants Mauritania in Accra, and they won the game 3-1. In the North African derby between Algeria and Tunisia, Algeria kept up their stellar record of not losing a game at home in Blida since 2002, with a 1-0 win. 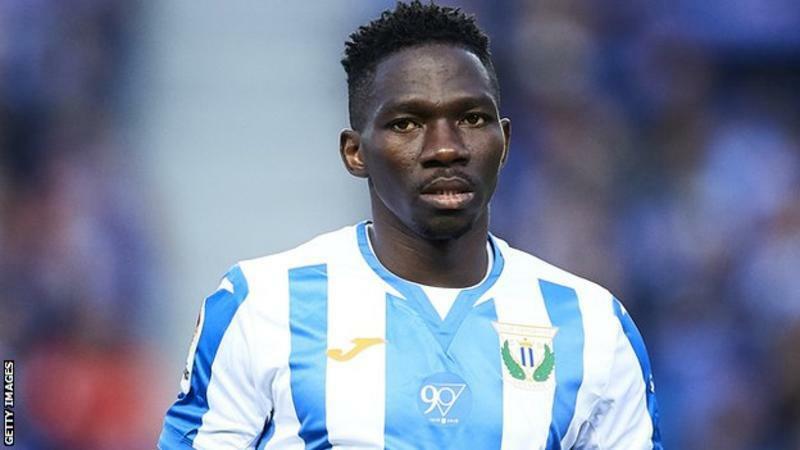 Nigeria international defender Kenneth Omeruo would like to make a permanent move to Spanish side Leganes when his current loan ends. Omeruo, who joined the La Liga side in August for a seventh loan move away from Chelsea since he joined them in 2012, is due to return in July. The 25-year-old has made 24 appearances since moving to the Spanish side. "The football here suits my style and the club provides a stable platform for me," he told BBC Sport. "The opportunity to play against the best players in the world is massive for my career. "There is an option for Leganes to sign me on a permanent basis and hopefully that will happen." Omeruo, who is yet to play a competitive game for Chelsea where he has a deal until 2020, spent a second spell at Turkish side Kasımpasa last season. A 2013 Africa Cup of Nations winner with Nigeria, he has also been loaned to Dutch side ADO Den Haag, Middlesbrough in England for two seasons and another Turkish side Alanyaspor. Back ... moreNigeria international defender Kenneth Omeruo would like to make a permanent move to Spanish side Leganes when his current loan ends. Back in 2017, Omeruo who played for Nigeria at the 2014 and 2018 World Cups admitted he may have to leave Chelsea in his quest for first-team football on a regular basis. He now admits hopes of making his stay at Leganes a permanent one will be decided by the Spanish outfit and his parent club. "The Chelsea management have never stopped me from making important career decisions and they've been very supportive," he added. "It will be a decision between both clubs, but personally I hope I'll be a Leganes player for next season and beyond. "I deserve stability in my career as a footballer. Leganes and Spanish football provides me with the continuity and right environment for career growth. "After enduring instability with different loan moves, it's time to finally settle down with my young family. "Leganes fans and club officials have been awesome to my family which has helped me mentally and physically. "It has also helped me with the national team and to connect with fans back home because La Liga is on television in Nigeria. "I'd love to stay at this football club and hopefully that will happen." Omeruo can play at centre-back or right-back and is regarded as one of the continent's best young defenders. 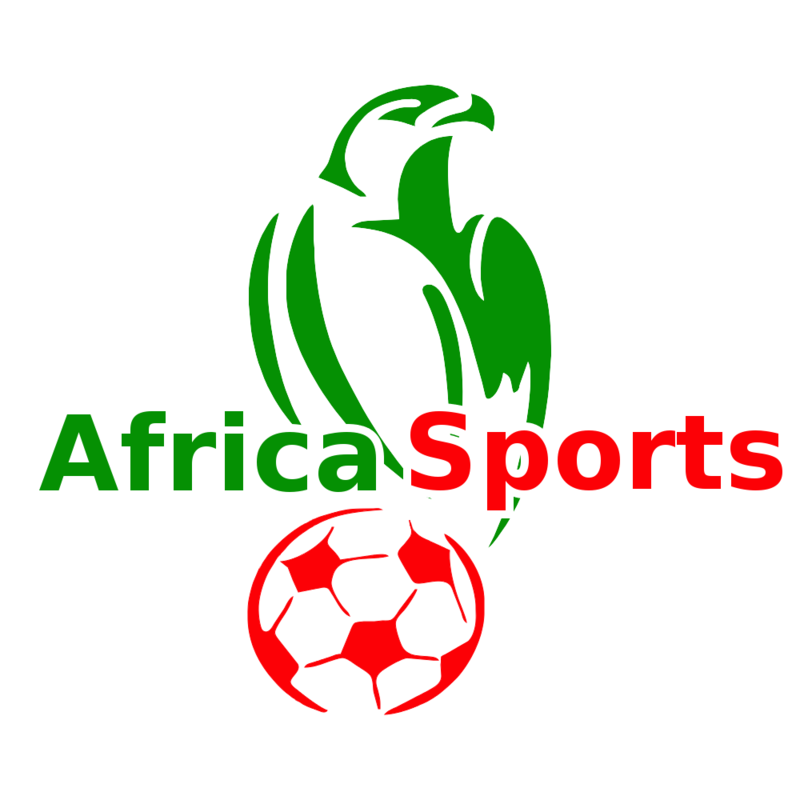 The home of African Football on Afrosky online. These includes the latest news stories, results, fixtures, Predictions, video and audio. This group has 3 AfroSky Sport.